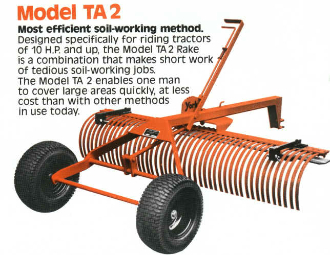 Model 2216B TA26 tow behind landscape rake, 6 ft. wide with ball coupler type hitch. Rake weight is 252 lbs. and ships by truck.